Reverse Osmosis Storage Tank for Commercial / Whole House Reverse Osmosis System. 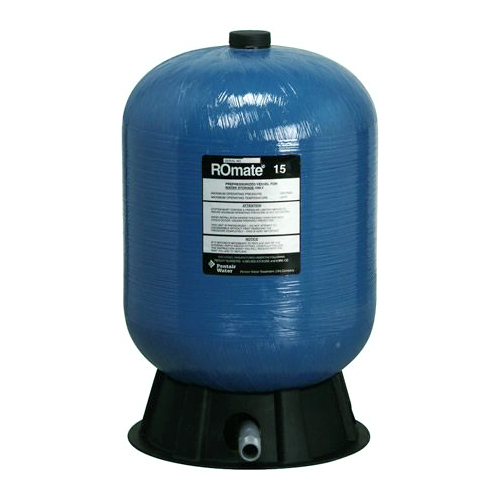 Pressurized, more than one tank can be used to increase storage capacity, or for commercial or industrial applications. 100% seamless composite construction. Discharges in any position.